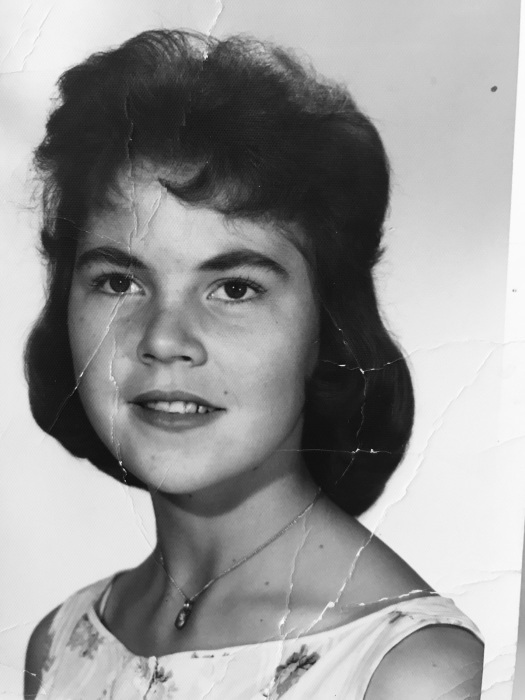 On Thursday January 10, 2019 Judie Ann Page Speth Loving wife, mother, grandmother and great grandmother returned home to our Heavenly Father and her daughter Denice at the age of 77. Judie was born November 28, 1942 in Logan, UT to William and Lena (Berdella) Page. On February 23, 1962 she married Dennis George Speth in an LDS chapel in Hyrum, Utah ultimately getting sealed for time and all eternity in the Logan LDS temple. Together they raised 2 daughters Lori and Kristine also 2 sons Brett and Robert. Judie and Dennis never stayed in one place too long experiencing the adventure of seeing the world together with their children. Settling down in Aberdeen Idaho Judie found joy in being a teacher to children with special needs at the Aberdeen Elementary. All of the children at the school referred to Judie as grandma because of her compassionate, kind spirit and loving nature. She loved dolphins, the beauty of nature her family especially her 10 grandchildren and 7 great grandchildren. Judie was preceded in death by her Dad (William) Mother (Lena) 5 brothers Lynn, Calvin, Keith, Merrill and Clark also 4 sisters Joan, Beth, Lapriel and Grace, a grandson Brandon Regan. She is survived by her husband Dennis G. Speth, her 4 children Lori, Kristine, Brett and Robert, her 10 grandchildren and 7 great grandchildren, several cousins, nieces and nephews. And the funeral will be held Wednesday January 16, 2019 at 10:00 am all at Davis Rose Mortuary, 170 Idaho Street, American Falls, ID. After the funeral Judie will be laid to rest at 1:00pm in the Smithfield cemetery 300 East Center Street, Smithfield, UT. Condolences and memories may be shared at www.davisrosemortuary.com.